The Christmas season in many European countries is a magical experience, as cities across the continent transform their squares into Christmas winter wonderlands. And Italy is no exception. People travel from all around the world to experience the food, art, and culture Italian Christmas markets have to offer. There are, of course, many wonderful Christmas markets in Italy, but a few locations outshine the rest. 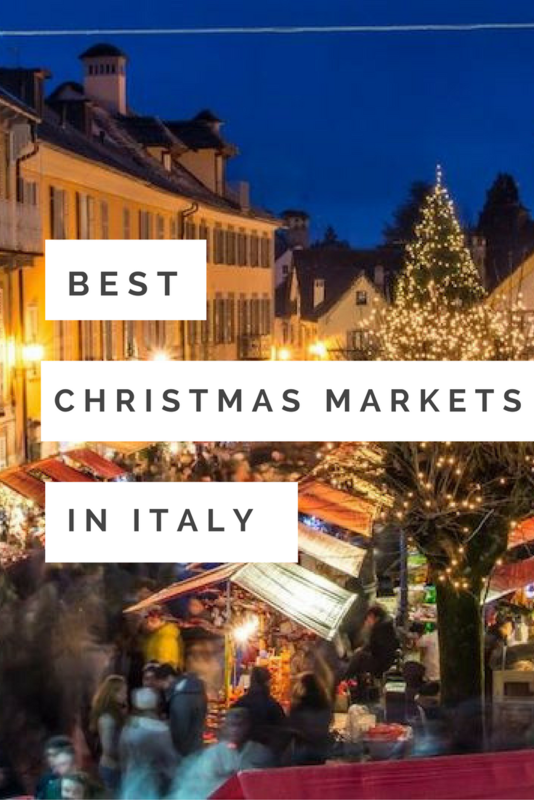 Here are the 12 best Christmas markets Italy has to offer. 1. 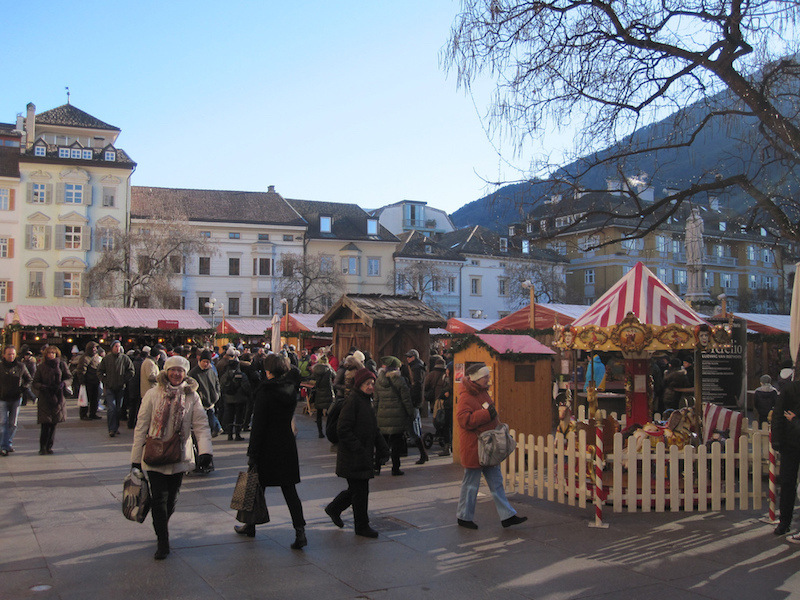 Christmas Market in Bolzano. 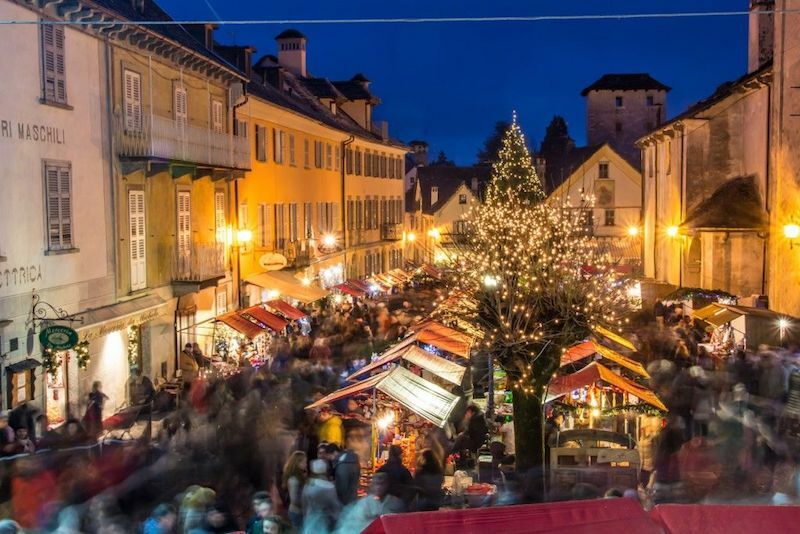 Located in northern Italy and set against the Rosengarten Dolomites, this market provides the magic of an Alpine Christmas. Roasted chestnuts, handmade gifts, and local specialties are just the beginning of what this market has to offer. Additionally, this is a great destination for families, as it offers a children’s market that includes a merry-go-round, puppet theater, and miniature train. 2. Weihnachtsmarkt Market in Florence. This market is inspired by the traditional market located in Heidelberg, Germany. 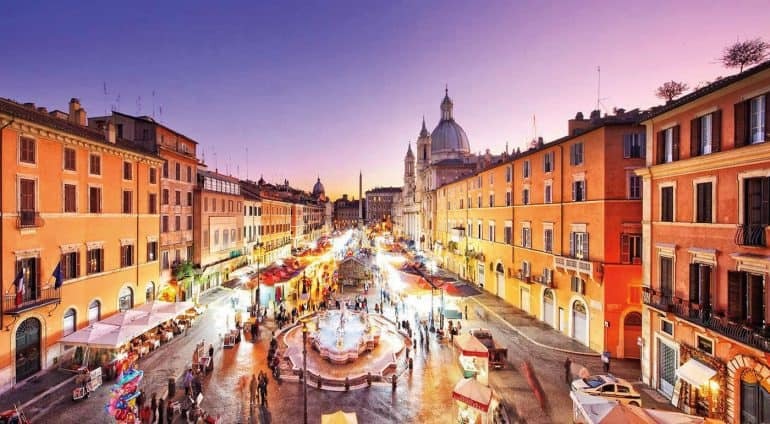 The combination of German and Italian goods and culture provides a rich and unique experience. The wooden stalls that line the streets offer delicious food and drinks, beautiful decorations, and special gifts. 3. Nativity Markets in Naples. Nativity scenes are a big part of Christmas decorations in Italy, and this market in Naples is dedicated to handcrafted Nativity scenes of all shapes and sizes. The market also offers handcrafted wax, bronze, cork, and clay traditional and modern figurines for purchase, an opportunity for a memorable gift or souvenir. 4. Candle Market in Candelara. This medieval town provides a noteworthy spin on the traditional Christmas market, as much of its market is inspired by candle making, the art the town was named after. During the extent of the market, candles are placed around the town, and every night, all street lights are periodically shut off, creating an enchanting atmosphere from the glow of the candlelight. The market offers a number of fun activities including candle making opportunities for children. 5. Piazza Navona Market in Rome. Piazza Navona is already one of the most charming squares in Rome, but the charm is increased with the addition of the magic of Christmas. 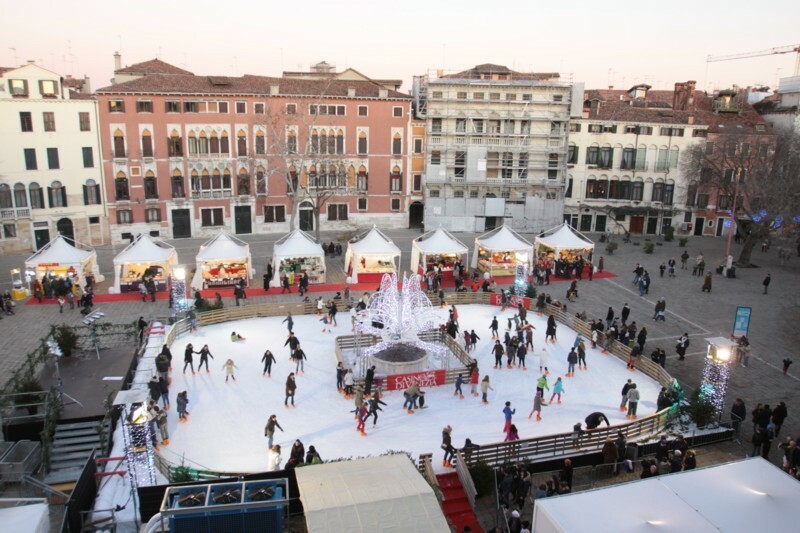 Entertainment, food, and traditional Italian goods are all included in this lively square during the Christmas season. 6. Christmas Market in Turin. 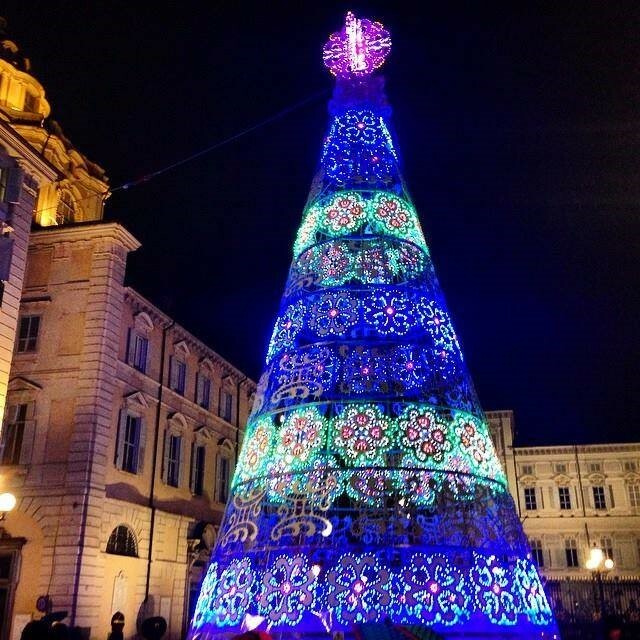 Christmas lights are one of the most enchanting features of the holiday season, which makes the Christmas market in Turin a smash hit, as it draws crowds for its spectacular Christmas displays created by both local and international artists. The market also offers a variety of locally and internationally made goods. It’s here you can try bicerin, a delectable drink made of espresso and hot chocolate and topped with cream. 7. 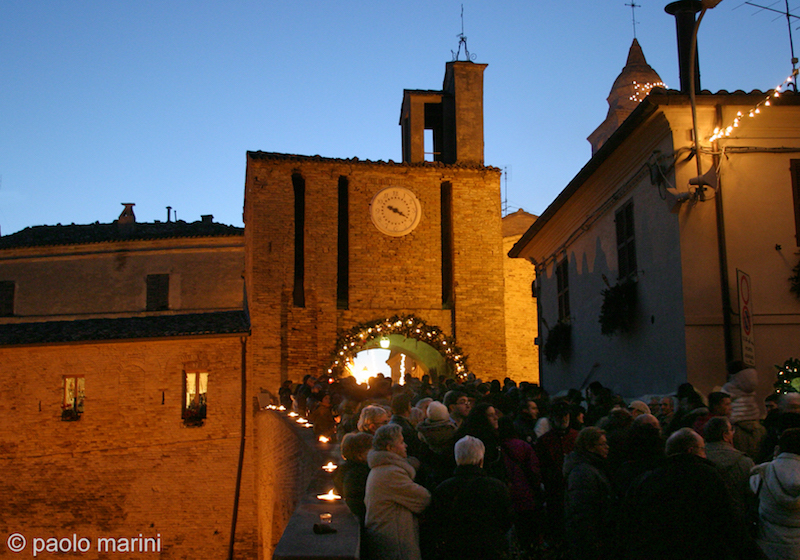 Christmas Market in Santa Maria Maggiore of Piedmont. If you’re looking for entertainment, look no further. Stilt-walking, bagpipes, and chainsaw carving are just a few of the features offered at this large market. In addition, unique foods, crafts, and other goods are available for purchase in the numerous stalls located in the square. 8. Christmas Market in Trento. This market has been called one of the most famous in the country, making it one you should not miss. With nativity scenes, local foods, and decorations, this market is sure to spread the Christmas spirit. 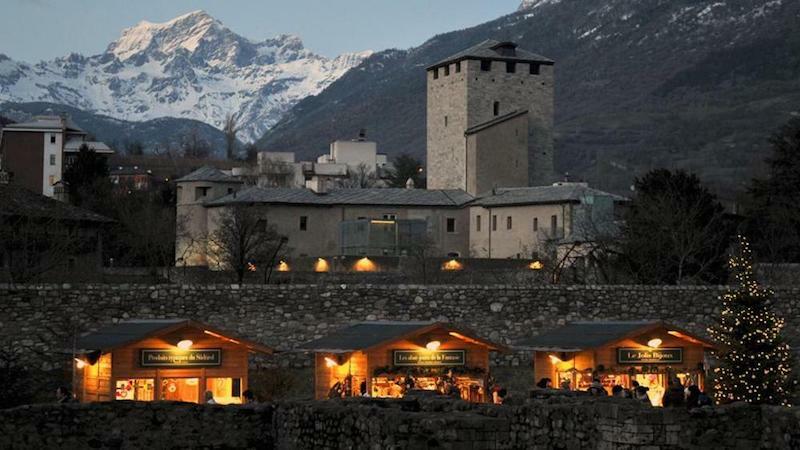 The local wine is another great feature of Trento’s market. 9. Nuremberg Christmas Market in Verona. This is another market inspired by German culture. The quaint wooden stalls offer a variety of German and local foods, decorations, and gifts. Located in the romantic city of Verona, the lights and decorations found in the market create a charming atmosphere for the Christmas season. 10. Oh Bej! Oh Bej! Market in Milan. This Milan Christmas market is unique from others, as its Christmas celebration correlates with another special tradition, the celebration of Sant’Ambrogio, Milan’s patron saint. This tradition is where the phrase “Oh Bej! Oh Bej!” (translating to “how beautiful, how beautiful!”) comes from, and it enriches the local Christmas celebration. Here you can enjoy a variety of art, foods, and gifts. 11. Marché Vert Noël in Aosta. Another great location to experience an Alpine Christmas, this market offers an extensive selection of handmade goods, decorations, and accessories that will make for memorable Christmas gifts. The surrounding fir trees provide a beautiful backdrop for your Christmas shopping. 12. Campo San Polo Markets in Venice. For more unique gifts, check out this market, which features locally made glass and lace goods from Murano and Burano. Here you can also find the well-known carnival masks that Venice has a reputation for. In addition, the market offers an ice-skating rink for its visitors to enjoy. 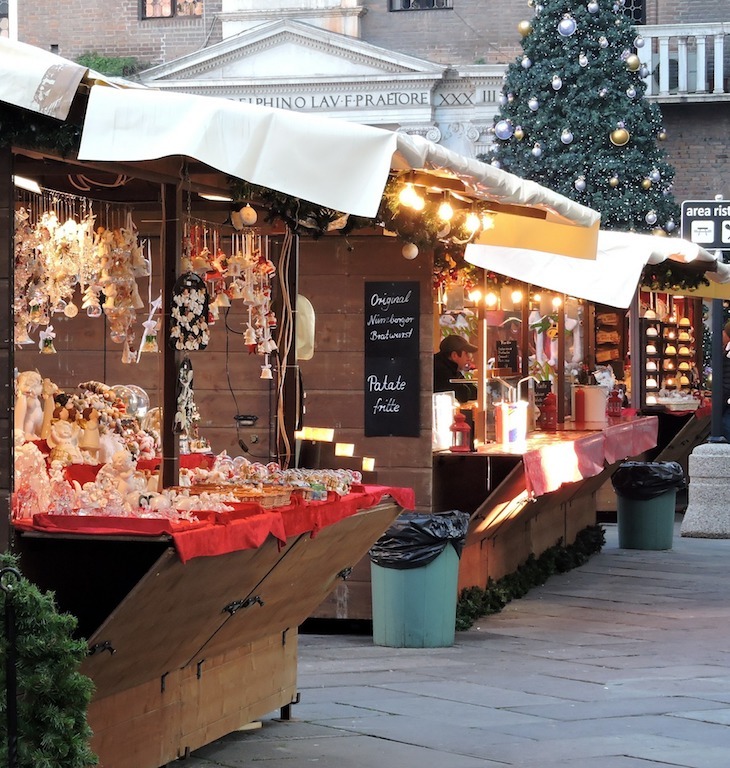 If you’re traveling to Italy during the Christmas season, take advantage of the delightful markets that are set up for the enjoyment of the holidays. 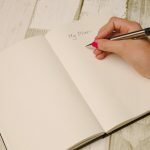 And if you’re not traveling to Italy during the Christmas season, hopefully this list has inspired you to do so in the future. Buon Natale! ~ Kalina Davis.